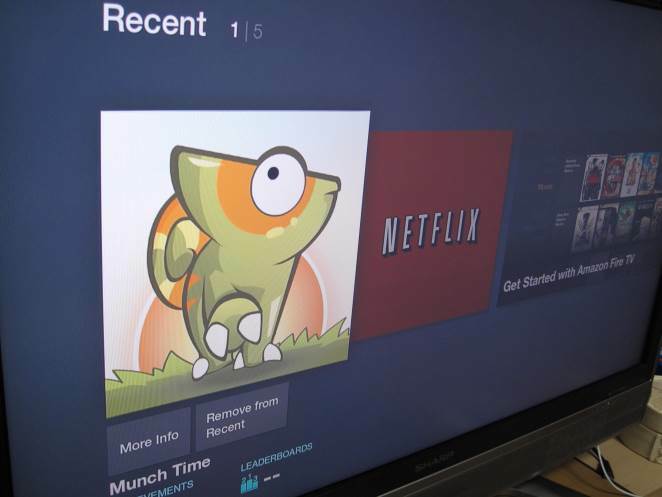 There are many reviews of the fire TV out there, so why one more? I’ll be trying to compare the fire TV to the devices I usually use for my own TV use which is slightly different from the typical reviewer: I won’t be comparing the fireTV to the Roku or the Apple TV: these comparisons have been done over and over again. I’ll try instead to compare my experience with the Fire TV to that of the android dongles I’ve been using for a while: the MK802 III and the CR11/S. Main use: I see my TV box as a tiny, power efficient computer. It of course needs to be good at watching movies and shows, but I also like to have a few things on the side: gaming and utilities. The Roku and Apple TV are tightly locked in their own ecosystem, preventing a more “creative” use of their power, but the Fire TV runs a flavor of Android, allowing people to sideload their favorite apps. How does it compare to my Android dongles? I haven’t tested the FireTV extensively: you won’t see in this review a list of all apps I’ve tried, or performance reports, etc… instead I’m providing a few random key elements of the things I’ve tried, which hopefully will complete other reviews you might have seen, rather than try to duplicate them. The FireTV in itself looks pretty gorgeous, like some sort of big piece of dark chocolate. Simple but classy, it’s also fairly small (smaller than my current set top box). The remote looks classy too. Amazon did not include an HDMI cable with the device, which is kind of lame given the price of the device. I don’t mind because I already have dozens of those around the house, but you might want to get yourself an HDMI cable such as this one if you order the FireTV. Turning the device on and using it for the first time is a bliss: unless you got the device as a present, it is already linked to your Amazon account, meaning that if you are part of the Amazon ecosystem (in particular if you already own one of the Kindle tablets), you will already find your favorite apps, etc… ready to download. It is literally a 5 minutes time to get to watch your first Prime video, and that’s because there is a 3 minutes introduction video on how to use the Search functionality. Speaking of the Search functionality (press a button and say the name of the thing you’re looking for, e.g. 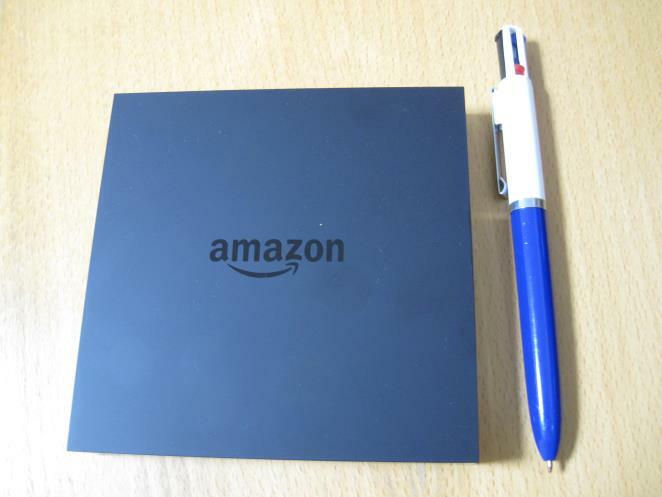 “Kill Bill”, and the fire TV will find it for you), as many people have mentioned it is practical, but not much more than a gimmick until amazon integrates it with all products. Today it will search for movies available in the Amazon library, but not in Netflix, for example. I can see how amazon don’t want to give you too much access to the competition, but as a user of the box this makes the Search functionality much less useful than what it could be. The FireTV has a USB port (which cannot be used for USB storage for now, more on this below), optical audio, HDMI, ethernet, and the A/C input. The lack of USB ports means you’ll have to get a USB hub if you want to use several USB devices. (I use this USB hub) . I had no problem with the ethernet connection, especially when it came to setting up unblock-us, so I didn’t test the Wi-fi extensively. The box seemed to recognize my Wifi network with no problem though, and with a good strength in the signal, so it look much more reliable than my CR11/S or other android dongles in that regard. The FireTV obviously ships with a bunch of video apps, and excels at it. Amazon Instant Video obviously works fine, and the FireTV finally convinced me to give a try at Amazon Prime (the Amazon Prime free trial is 30 days, and you can go to your options immediately to cancel the auto-renewal) just to benefit more from Amazon Instant video. The FireTV does not only contain Amazon apps, also ships with other video applications such as Netflix. 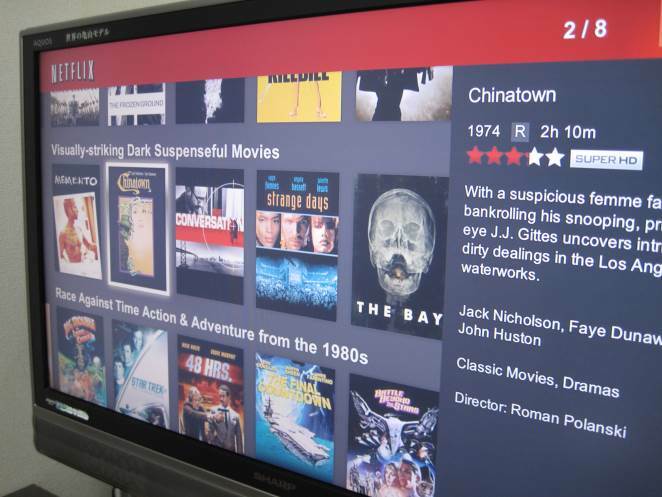 I was able to access Netflix from outside the US thanks to unblock-us, and I’ll explain in a follow up article how to set that up (and the same unblock-us settings worked for Amazon Instant video). Netflix apparently supports HD on the Fire TV, making it probably the only Android TV box with this functionality today. In terms of “commercial” video applications and streaming, the fireTV compares positively to my Android boxes: the Netflix and Amazon Instant video integration is much better than on a vanilla Android (and that’s not saying much: AIV is not even available on vanilla Android for now ). But one of my main uses of my Set top box today is to watch movies I own myself, and for that I heavily use XBMC. How does the FireTV work for that? XBMC is not available on the Amazon Appstore, but can be sideloaded. This is described in details on the XBMC for Fire TV page. Although amazon were nice enough to let people sideload any Android app for testing purposes, this is not extremely user friendly, and can be compared to the same process on the OUYA console, for those of you who have experienced that in the past. The Fire TV Appstore has a version of Plex available, which is getting good reviews, and is one of the best sellers for the FireTV. A friend who used it told me Plex + a server running on his PC made the Fire TV one of the best ways to access his movies on the TV. At the end of the day, it all depends how one intends to use the Fire TV: as a client for a remote Plex server or NAS Drive in which case, the Fire TV is great, or as a standalone box which plays AND stores the movies (which is what I currently do with my set top box, attached to a 2TB USB drive), in which case the lack of USB Storage makes it impractical. Amazon have however apparently stated that USB storage would come in later versions. As strange as it sounds, the FireTV doesn’t come with an integrated version of amazon’s own amazon MP3 App. This is is scheduled for a future update. One of the things I like to use my set top box for is as an FTP Server or a torrent downloader for the house. Here again, because of the pain of sideloading apps I haven’t given this too much efforts. The fireTV ships with a “pictures” app that is connected to your cloud drive on Amazon. This lets you use your cloud drive photos as the “screensaver” for the FireTV, which is a pretty nice feature. For those of you in the Amazon ecosystem, this is pretty good. Gaming on the Fire TV without the dedicated controller (which I didn’t buy because it was out of stock) was more or less useless. The few games I own require a gamepad (or a touchscreen, which the amazon gamepad simulates). Update: a reader kindly sent me an Amazon controller, except a more in-depth review of gaming on the fire TV soon. Plugin-in a Playstation 4 controller (Dulashock 4, a.k.a DS4) on the Fire TV works fine through the USB port (I haven’t tried bluetooth connection yet), but the controls aren’t mapped to my liking and I wasn’t able to play most games. I hear the OUYA controllers work fine on the FireTV, and I have yet to try that. How does the Fire TV compare to the OUYA? The OUYA isn’t a massively popular box, but it indirectly targets the same market as the Fire TV, so I felt it was a nice idea to compare them. In terms of raw power, the Fire TV beats the OUYA by a tiny margin, with more ram and a slightly better GPU/CPU combination. The OUYA however, for $99 ships with a controller, while you’ll have to give another $50 on the Fire TV for that. For movies it vastly depends on how much you depend on Netflix and the amazon ecosystem (Amazon Instant video) VS how much you rely on your personal collection of movies. The XBMC on the OUYA, and the fact that the OUYA supports external storage (when the Fire TV doesn’t) makes it a clear winner today for your personal movie collection. On the other hand, if you rely mostly on streaming, the Netflix and Amazon Instant video versions on the FireTV are definitely superior to what you can find on the Ouya. For gaming, although I haven’t had the time to give the Fire TV enough tests, I think shipping the device without a controller by default was a mistake on Amazon’s part, which will impact adoption of fireTV specific games. That being said, Amazon have much more cash on their hand than OUYA does, and could decide to invest more in gaming moving forward, pushing the Fire TV gaming functionality way beyond what it does today. Wait and see. I use a CR11/S every day for my movie needs. 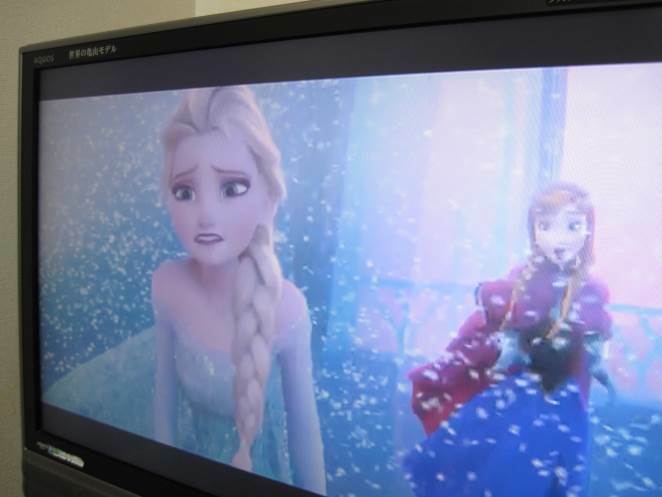 The XBMC installed on it is tweaked for maximum performance, and the Fire TV cannot compete in that field, especially with the lack of usb storage support. However, like for the OUYA above, the Netflix and amazon Instant video support on the Fire TV is way better than what any of the Android boxes can offer. The interface of the fire TV is also much more adapted to the big screen than the vanilla Android installed on my Android box. The counterpart however is that an Android Set top box such as the CR11/S or the mk802 III is much more flexible in the applications you can run and install: my android box serves as an FTP Server, a torrent downloader, and a “fake” Chromecast thanks to cheapcast. The Fire TV could provide those as well but the process is more tedious. As far as gaming is concerned, my android box has seen several attempts at gaming sessions but never felt like it was the right way to do it. Without even trying the Fire TV I think the experience there will be much more well integrated. In conclusion, for my usage, the android box I use today is a better choice than the Fire TV, but that could change if the fire TV ends up supporting usb storage, and if launching sideloaded applications becomes easier. 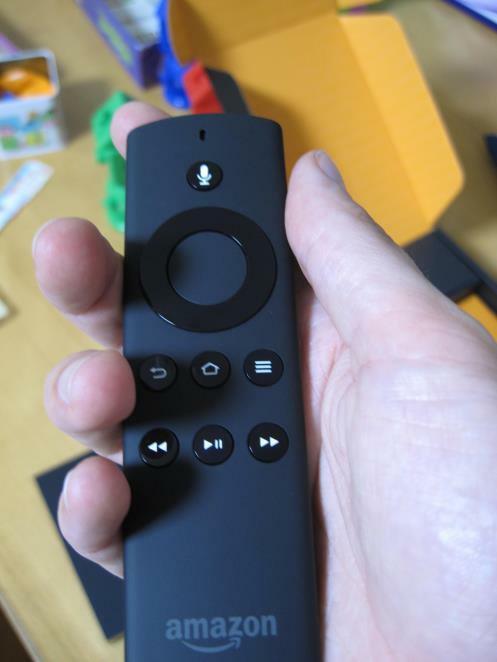 From the point of view of a tinkerer, the Fire TV is a mixed bag: it clearly has lots of raw power, a nice slick design, cool features such as the voice search, perfectly integrated “mainstream” video apps support, and a very well done interface compared to a vanilla Android install. It also looks like it could be a very decent gaming machine. It however misses a few things that would make it a perfect box for me, in particular the lack of usb storage support kills the main use case for me (XBMC), while the difficulty of installing and running sideloaded apps also is a problem for usability by my whole family. Until then, the CR11/s I got last year remains my device of choice mostly because of its flexibility to run anything I want. The FireTV is a great box if you are in the amazon ecosystem and/or if your local movies are stored on a Plex or a remote server. 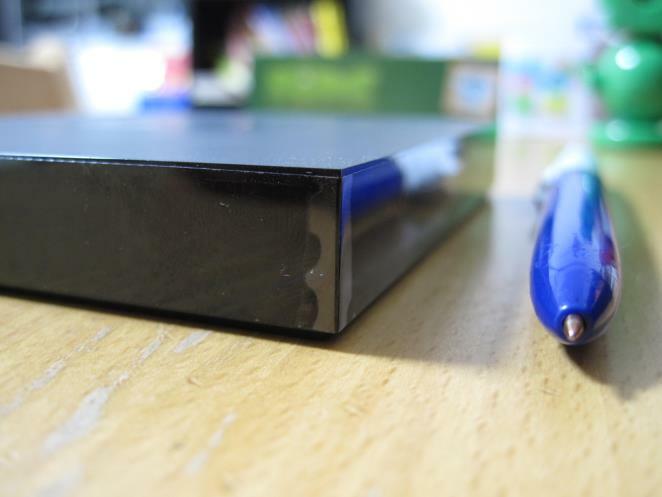 If, like me, you like to use your set-top box as a self contained device with its own hard-drive, you’ll have to wait for USB Storage support from Amazon.